EURUSD in consolidation with a short term downside bias. 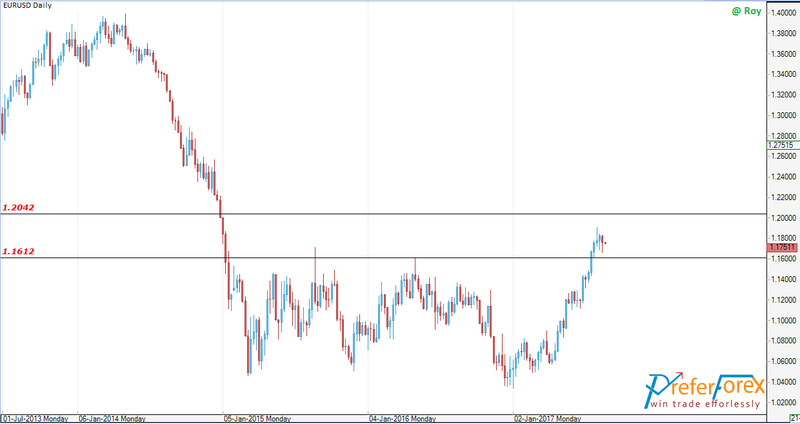 In the technical overview EURUSD remains with in a consolidation from some days. The main bias is still bullish as it breaks the support at 1.1710 and 1.1612. Now the pair is moving slowly with a short term downside bias. The movement is corrective now and it is too early to call any types of reversal. But before further bullish movement it is expected the downward movement would continue to move deeper to retrace the area of 1.1612 which is act as a support now. There is resistance at 1.2042 which could be the next target of the bullish bias. In this week market attention will be Jakcson Hole Symposium, where the policymakers from different counties will meet to discuss economic policy, Fed chairman Yellen and ECB precedent Draghi will deliver their speech here traders will be looking for sign of market from this event.